My parents love to reminisce about the good old days. They paint a picture of a “simpler” world where milk, ice, and the occasional Schwan’s were delivered right to your doorstep, and where doctors still made house calls. They were direct beneficiaries of the technological advancements that came about after the second industrial revolution and were part of one of the greatest economic expansions in history following WWII. They experienced the evolution of cars, colored television, mass production of penicillin, and automation. Like millions of Americans, I arrived home just the other day to various boxes at my door, and it struck me that this new world of Amazon Prime, Blue Apron, and other subscriptions is really no different than the deliveries my parents received decades ago. I can order just about anything online—from prescriptions to groceries—that help simplify my life and maximize my time. So what does this have to do with the state of healthcare? My observation is that while conditions have not drastically changed, healthcare is in need of a major upgrade to meet the demands of our current landscape. To understand this problem, though, it’s important to understand first of all how we got here, and second of all who will lay the blueprint for the next era of healthcare. A study from The Commonwealth Fund found that the U.S. was ranked last in overall health system performance, while spending the most per capita on health care. When compared to ten other high-income countries, The United States ranks last in Access, Equity, and Health Care Outcomes, and next to last in Administrative Efficiency. Sadly, these findings are almost identical to a 2014 study from the same group. The findings of these studies exemplify why healthcare providers are under enormous pressure to operate more effectively and prove their efficiency through improved outcomes, quality, and service. Millennials represent a quarter of the total U.S. population, and they will account for more than $1.4 trillion in spending per year by 2020. Millennials don’t see technology as a way to better their lives; instead it is already integral in their lives. An article from Becker’s Hospital Review argues that millenials are changing the healthcare industry by prompting greater emphasis on technology, faster delivery of care, telemedicine adoption, a fee-for-outcome model, and a shift toward consumer-oriented service. With HIMSS fresh in our minds, it is also easy to point to the technology giants of Amazon, Google, and IBM in hopes of change. AI and machine learning often seem like the only viable options to tackle the mountain ahead, and these have already become integral tools for many health systems as they into more value-based care models. A recent article from MedCity News considers the implications of automation on a larger scale. I would argue, though, that the most significant agents of change will be health systems themselves. As networks of care are extended further and further beyond hospital walls and headlines capture market consolidation regularly, it is imperative that health systems position themselves as institutions that embrace any change that benefits patient outcomes. This RevCycle Intelligence article takes a deeper dive into available models and goals within the Value-Based Care program. 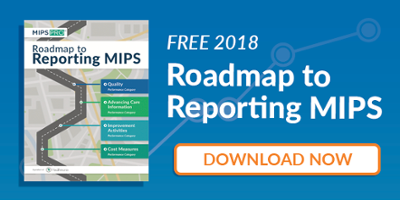 Having a strategic plan and soliciting help from performance analytics vendors will be key to paving the way toward providing better care for individuals, improving population health management strategies, and reducing healthcare costs. And early adopters of value-based care models are already seeing some of the benefits: according to the second annual Value-Based Care Report, UnitedHealthcare and providers have identified and closed 50 million gaps in care since 2013. One final point to stick a pin in: this Healthcare Dive brief reports that among improvements, ACOs performed better than non-ACOs on 67% of the top quality measures. Top ACOs also had lower rates of emergency department use, fewer inpatient admissions, and more members getting breast cancer and colorectal screenings. Physicians took on more risk, but also earned larger bonuses. While change can be hard, innovation has remained a hallmark of modern medicine and we can only hope modern medicine will continue to rise to the challenge. In the meantime, I can’t help but see a parallel between telemedicine and the doctors that used to make house calls.